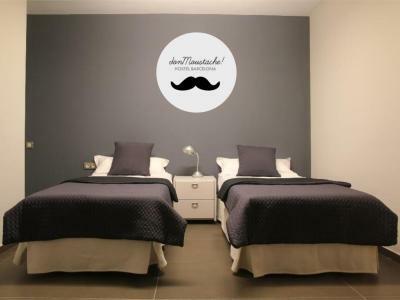 Lock in a great price for Don Moustache Boutique Hostel – rated 8.4 by recent guests! Good location, friendly and helpful staff. Lots of outlets to use and good sized lockers. The beds were pretty comfortable and the temperature of the room was usually good. The breakfast was nice and there was coffee/tea/water available all day. They also allowed us to leave our bags after we checked out until we were leaving the city. The team is very helpful and chearful. You will feel yourself it's like at home. The Internet is amazing. The staff did everything they could to make it accommodate us. 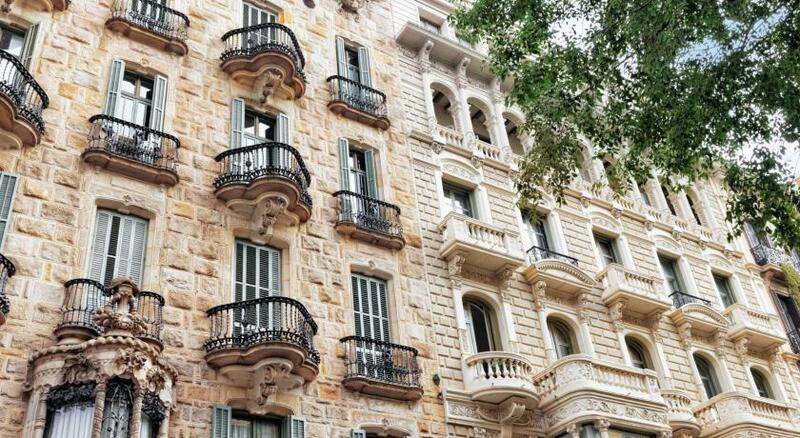 Location - in the city center, close to PL Catalunya and La Rambla. Shops nearby as well. Breakfast - continental type of bfast, which was enough for taking a quick bite before going to explore the city. I also very appreciate free Sangria and snacks, which has been served twice during my stay. Staff - always smiling, just in my departure the reception guy wasn’t really knowleadgable about the night transport possibilities, but I sorted it out by myself. The common room - really nice and relaxing place to sit down at comfortable sofa to watch tv, read magazines or just simply chatting with others or surfing on the net. In case you need, there is one pc as well. Apples and drinks 24/7 in there. I also like the entrance system, when you just simply type the door code which opens the door. No door cards or key needed. The location is in the centre and it is easy to get everywhere on foot, the hostel is very clean and well furnished. The breakfast is also good. One of our best sellers in Barcelona! 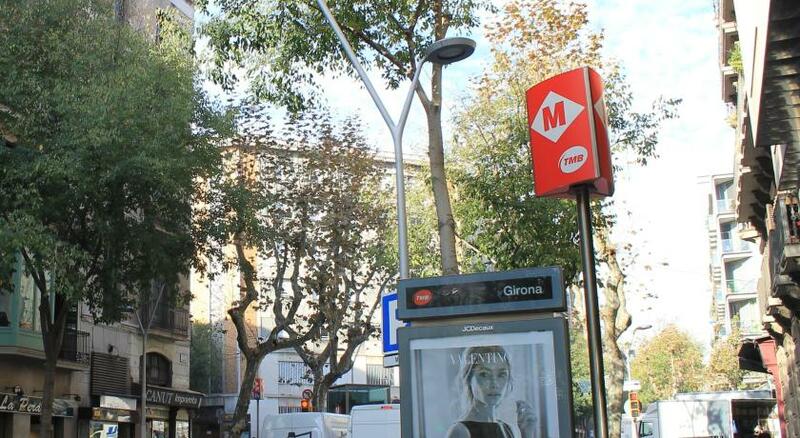 Offering stylish dorms and rooms with free Wi-Fi, Don Mustache Hostel has a central location within 10 minutes’ walk of Girona Metro Station, Gran Vía Avenue and Passeig de Gràcia. It features a communal kitchen and a lounge. Most of the bright dorms and rooms at Don Mustache open onto a small terrace. There is a shared bathroom and lockers. One private room with an private bathroom is available. You can relax in the Mustache’s lounge, where there is a TV as well as computers. Plaza de Catalunya and the famous Las Ramblas are less than 2,950 feet away. The beaches at Barceloneta are just 4 stops from Girona Metro Station. Airport trains leave from nearby Passeig de Gràcia Station. 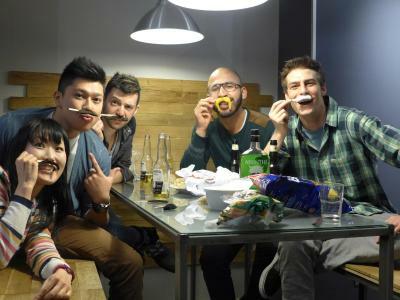 When would you like to stay at Don Moustache Boutique Hostel? This room has 2 single beds and an extra bed is also available on request. The room comes with a coffee machine, kettle and hot chocolate. There is a private bathroom. Please note this room does not open onto a terrace. Please note, guests will receive a complimentary bottle of cava upon arrival. House Rules Don Moustache Boutique Hostel takes special requests – add in the next step! Don Moustache Boutique Hostel accepts these cards and reserves the right to temporarily hold an amount prior to arrival. Please let Don Mustache Boutique Hostel know your expected arrival time in advance. You can use the Special Requests box or contact the property. Don Mustache Boutique Hostel provides a shuttle service to Barcelona Airport at the extra cost of EUR 14 per person. Fares include a suitcase and a piece of hand luggage. When booking more than 8 beds, different policies and additional supplements may apply. The showers are closed from 11pm-8am, so we couldn’t shower when we arrived and also couldn’t shower before we had to leave the next morning. There were only 2 men and 2 women toilets for everyone to share (our room of 14 people + other rooms). For our last night there was a large group of teenage boys who were very loud and obnoxious all night and all day. They were smoking weed/cigarettes and drinking alcohol on the balcony of our room. They also made a mess of the room and had their stuff everywhere. This really ruined our last night at the hostel and our entire next day as we were exhausted. The stuff does not speak good English and are not local. So they can't help very much when you need help about recommendation. But they are really nice and are trying to help. The WiFi is great. The food Also is very good. If you don't have a lock, don't Worry, they will give you one for free! (Only 10€ deposit). They offer towel for free. The bed is very confortable. Nice location/Breakfast.. Most important thing is staff was very much friendly/cooperative and always meet & assist you with smiley face. 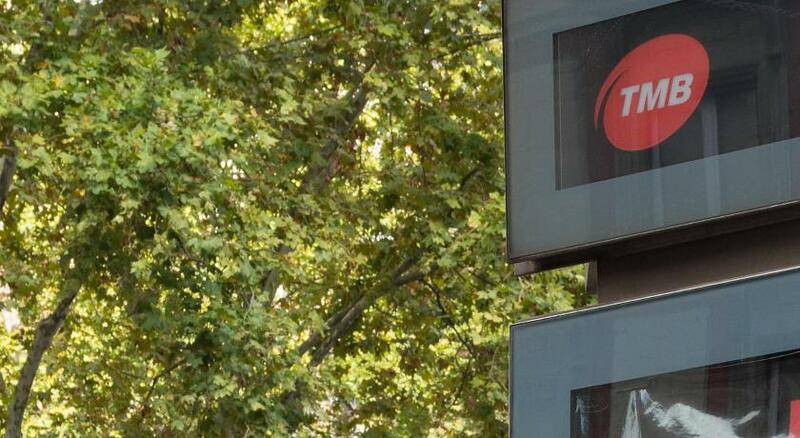 They all are very informative and it was great experience to stay in Barcelona. Wi-Fi signal was weak, but that's a reason to use less your mobile! The staff was very helpful and kind (24 hours reception)! The location is very good, in a quiet area, close to 3 metro stations, which makes it really easy to find any destination. The hostel is clean and very stylish. We loved the breakfast!!! Happy also with the amenities. 1. Bathroom was worst 2. Washroom should be more(there was only 1 for 14 people and 1 for entire hostel !!!) 3. Please change the locks .. OMG !!! 1. Location is good 2. Stuff's were superb, there were very friendly 3. Breakfast was good 4. we got 2 sangria nights.. it was awesome. Lovely bedroom suite, kind stuff and great location! I was very clean, nice. Location very comfortable. Everything was great! Great place. Great location. Would definitely recommend. We had a private bathroom in our female room.